Biologists are finding more and more animal species, besides apes and crows, that use tools. 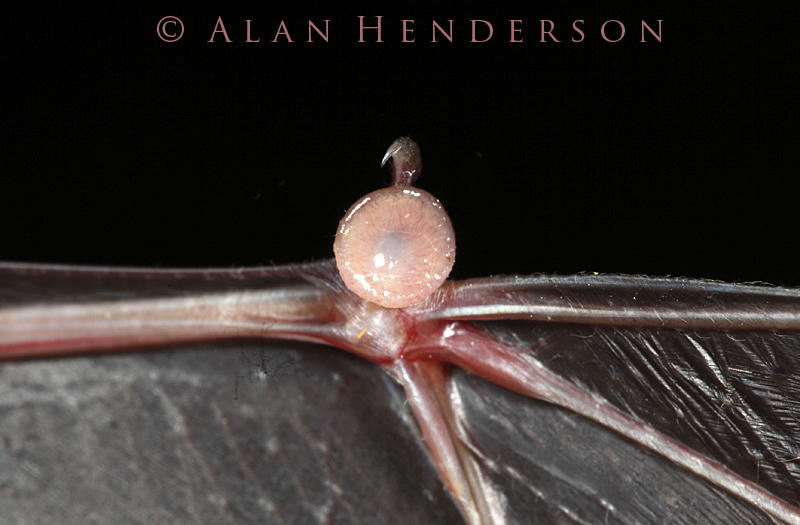 Most recently, Gloriana Chaverri of the University of Costa Rica has discovered that a particular South American bat – Spix’s Disc-winged bat (Thyroptera tricolor), so-named because of the circular suckers on the bases of the thumbs and soles of the feet that allow them to hang (IMAGE HERE) – use leaves to amplify sound. The bats roost in groups of 5 or 6 inside unfurling Heliconia and Calathea leaves. Because the leaves remain curled up for only about 24 hours, the bats have to find new homes almost every day. Dr. Chaverri's tests in the laboratory confirmed that incoming calls were boosted by as much as 10 decibels and that the responses, although boosted by only 1–2 decibels, were made highly directional by the megaphone-shaped leaf.